Chuck Seyfarth leads the firm’s Class Action Practice Group. His practice focuses on class actions, financial services litigation, business litigation, and products liability defense. In addition to his work in Virginia, Chuck serves as national counsel for several clients, handling disputes throughout the United States. 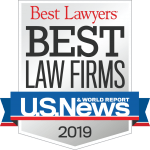 Chuck has been recognized as “Legal Elite” by Virginia Business magazine, named a “Super Lawyer” by Virginia Super Lawyers magazine, and named one of the “Top Attorneys in Richmond” by Richmond Magazine. In addition, he has been awarded an AV Preeminent rating by Martindale Hubbell. 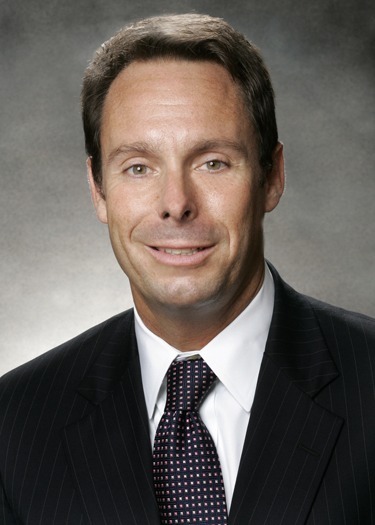 Chuck regularly represents businesses in defense of class actions and single-plaintiff actions involving a variety of statutes, including the Fair Credit Reporting Act, Telephone Consumer Protection Act, Truth in Lending Act, Equal Credit Opportunity Act, and state financial services and consumer protection statutes. He also represents clients in litigation related to the Fintech industry. In addition, Chuck represents clients in matters brought by state attorneys general and administrative agencies. Chuck represents members of the business community in commercial disputes, business torts, fraud claims and contract disputes. He works with clients to provide an early and ongoing assessment of the value and risk of the case and to develop a litigation strategy that considers not only that particular case, but also the impact on the business operations as a whole. In addition, Chuck is frequently called on to advise and assist clients with risk management and litigation avoidance issues. Chuck’s products liability practice focuses on defending designers, manufacturers and sellers against claims of alleged product defects. His products liability experience is extensive. Chuck has defended cases involving a variety of products, including manufacturing and industrial equipment, chemicals, automobiles, aircraft, consumer electronics, power tools, and sports and recreational equipment. Chuck also defends actions involving sports and recreational facilities, including cases against ski resorts and sporting facilities. In addition to representing his clients, Chuck is active in the community. He has served as President of the Board of Directors of the Central Virginia Legal Aid Society and is a member of the Board of Directors of the Legal Aid Justice Center. In addition, Chuck is a member of the John Marshall American Inn of Court, serves on the Board of Directors of the Richmond Chapter of the Federal Bar Association, and serves on the Richmond Bar Association’s Judiciary Committee. Represented multiple financial services providers in nationwide class action lawsuits challenging the controlling law applicable to loan products. Represented multiple members of the Fintech industry in nationwide class action lawsuits challenging loan products. Represented multiple clients in class and single-plaintiff actions challenging the enforceability of arbitration agreements. Represented multiple consumer reporting agencies in nationwide class action lawsuits brought under the Fair Credit Reporting Act. Represented multiple employers in nationwide class action lawsuits brought under the Fair Credit Reporting Act. Represented multiple entities in nationwide class action lawsuits brought under the Telephone Consumer Protection Act. Obtained dismissal of nationwide class action lawsuit in “junk fax” case brought under the Telephone Consumer Protection Act. Represented clients in nationwide class action lawsuit regarding “prior express consent” provision of the Telephone Consumer Protection Act. Represented multiple financial services providers in actions challenging business model and lending activities. Obtained verdict and judgment for international insurer in business dispute. Obtained dismissal of lawsuit on behalf of international bank in Fair Credit Reporting Act action. Defended class action claims against financial services client in Georgia, Indiana, Mississippi and Arkansas, and handled appeals before the Supreme Court of the United States, the U.S. Court of Appeals for the Eighth and Eleventh Circuits, the Supreme Court of Arkansas and the Supreme Court of Mississippi. Represented financial services client throughout the United States in claims involving consumer lending and financial services. Represented consumer reporting agency in class action lawsuit alleging Fair Credit Reporting Act violations based upon failure to provide proper notice to consumers when reporting public record information for employment purposes, failure to comply with adverse action notice requirements, and failure to conduct timely reinvestigations upon receipt of consumer disputes. Represented consumer reporting agency in class action lawsuit alleging Fair Credit Reporting Act violations based upon reporting of outdated public record information in consumer background reports. Represented consumer reporting agency in class action lawsuit alleging Fair Credit Reporting Act violations based upon failure to provide proper notice to consumers when reporting public record information for employment purposes. Represented consumer reporting agency in indemnity action by debt collector sued for class action violations under Fair Credit Reporting Act. Represented employer in class action lawsuit alleging Fair Credit Reporting Act violations based upon failure to obtain proper authorization before requesting background report on applicants for employment and for violation of adverse action requirements. Represented client charged with alleged Equal Credit Opportunity Act violations related to compliance with adverse action requirements. Obtained summary judgment in federal court on behalf of international recreational equipment manufacturer. Obtained summary judgment in federal court on behalf of international industrial equipment manufacturer in wrongful death action. Represented Fortune 300 defense contractor in seeking exemption from BlackBerry “black list” in BlackBerry patent litigation. Represented one of nation’s top universities in a $150 million contract and intellectual property dispute. Served as lead counsel in oral argument before the Supreme Court of Virginia. Defended clients in actions brought by state attorneys general and administrative agencies. Represented international financial association in dispute challenging French language provision of Quebec Constitution. Obtained summary judgment on behalf of international ski manufacturer. Represented Fortune 100 corporation in Multiple Claimants Litigation Act action alleging defective medical equipment. Represented financial services client in constitutional challenge to newly enacted statute. Successfully argued fraudulent joinder motion on behalf of Japanese power-tool manufacturer. Represented the Commonwealth of Virginia in employment litigation, including a Title VII race discrimination action. Obtained dismissal on behalf of Japanese manufacturer based on lack of jurisdiction in the District of Columbia. Obtained summary judgment on behalf of Fortune 100 product manufacturer. “Class Actions 101: The Rules, Certification, Settlement and the Court” Richmond Bar Association CLE (May 2016). “Legal Update,” National Ski Areas Association, Wintergreen, Virginia (October 2010). “Legal Update,” National Ski Areas Association, Wisp, Maryland (October 2008). “The Enforceability of Class Action Waiver Provisions in Arbitration Agreements,” DRI Business Suit (April 2008). “The Enforceability of Class Action Waiver Provisions in Arbitration Agreements,” PLBA, Elbow Beach, Bermuda (November 2007). “Minimizing and Managing Your Risks in Today’s Litigious Environment,” General Eastern Risk Retention Group, Wintergreen, Virginia (September 2007). “The Class Action Fairness Act of 2005: What You and Your Clients Need to Know,” Virginia Association of Defense Attorneys, Charlottesville, Virginia (May 2006). “The Employment Process From A to Z: Avoiding Charges and Litigation,” SES, Richmond, Virginia (March 2005). “Effective and Enforceable Arbitration Agreements,” LES, Richmond, Virginia (October 2004). “Exempt Versus Nonexempt Status Under the Fair Labor Standards Act,” LES, Richmond, Virginia (May 2004). “Legal Update,” National Ski Areas Association, Snowshoe, West Virginia (October 2002).